Is there a birthday brewing for a dapper dude? Commence the fun and games with a Birthday for Him invitation from Evite. Whether you’re ready to rage or relax, gather the guys to celebrate your new number with a free or Premium digital invitation. 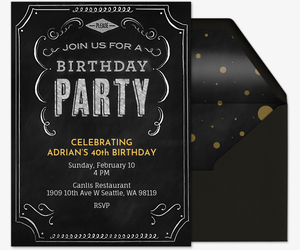 No matter your age or the theme of your party, our Birthday for Him invitation collection has a design for you. Once you’ve selected your invitation, fill in all the blanks and provide any additional details in the custom host message, like what to wear or whether guests can bring friends. 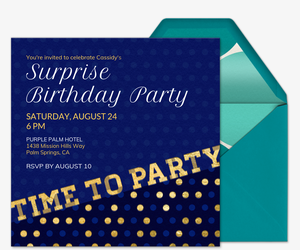 Online invitations keep the conversation in one place, so if you’re a friend of the birthday boy setting up for a surprise, you can keep guests from spilling the beans by communicating directly on the invitation page. 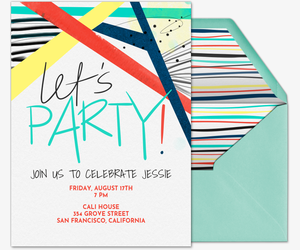 Keep it simple with our free invites. 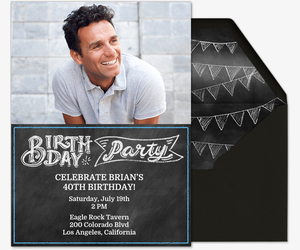 Check out our popular chalkboard-themed designs, like our “A Birthday is Brewing” invitation, or break out the grill for a backyard barbecue using our free “Bday BBQ” invitation. If you’re a birthday baller, score with our free basketball-themed birthday party invitation, or forgo the theme for a casual kick-it using our free “Mix + Mingle” or “Food + Friends” invitations. Got a fan-favorite photo to share? 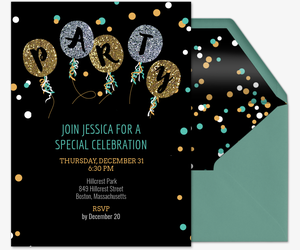 Get guests reminiscing by featuring it on one of our upload-your-own invitation templates. For milestone birthdays or simply a little extra flair, choose from our Paid Premium Birthday for Him invitations. 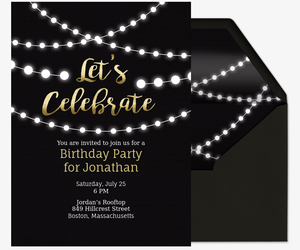 Our ad-free Premium invitations include matching envelopes with colorful liners and custom digital “stamps” and can be purchased for $12.99 for 15 guests, $24.99 for 50 guests and $49.99 for up to 750 guests for a major rager. 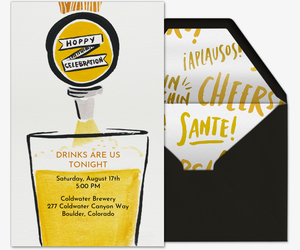 Get ready for strikes all night long with a Premium bowling invitation, or meet at the bar for beers using our Premium “Hoppy Birthday” invitation. Planning a surprise party for the birthday boy? 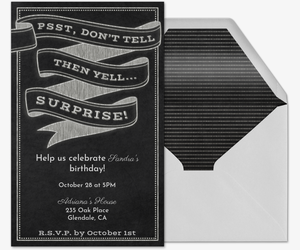 Round up his favorite friends with our Premium “Psst, don’t tell then yell… Surprise!” invitation. And don’t forget you can customize our upload-your-own and design-your-own templates with your own photos or designs. Personalize your party with pro-tips from ideas.evite.com. Late start? We’ve got your back. Check out our pointers for planning procrastinators, from how to celebrate yourself on your special day to how to put together a last-minute get-together. Keep guests entertained with our top 10 party games, then get more inspiration from real birthday parties thrown by other birthday boys. Throwing the party for a friend? Make the man’s day with a personal present from our list of top gifts for him. Remember to say “thanks!” After the party, send guests digital Thank You Cards to show you appreciate their gifts, messages and attendance, and make it personal by including a memorable snap of you and the guest from the party. Don’t sit on your thank-yous -- aim to send a week after your event!